The FY 2012 budget was supposed to fund government operations for fiscal year 2012. This is the period from October 1, 2011 to September 30, 2012. But it didn't follow the normal budget process. Instead, it created the debt ceiling crisis. Here's what happened, why, and what was actually spent. 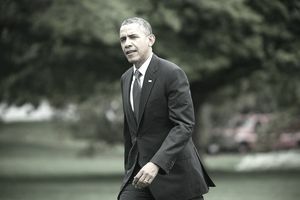 In January, President Obama outlined his FY 2012 budget priorities in the 2011 State of the Union Address. Although he would keep spending at FY 2011 levels, House Republicans wanted to lower it to 2008 levels. The president submitted his FY 2012 budget to Congress on February 14, 2011. But Congress had yet to approve the FY 2011 budget. It used stop-gap funding bills in March and April to keep the government funded. The Republicans now had a majority in the House, and they wanted to cut $61 billion from the Discretionary budget. They targeted child nutrition, college tuition, and food safety funding. If passed, it would have cost 800,000 jobs. On April 14, Congress approved the FY 2011 budget. It included $38 billion in reduced spending. On April 18, Standard & Poor's cut its rating outlook on the U.S. debt. It doubted that Congress could agree on how to restrain deficit spending, which threatened to increase the debt-to-gross domestic product ratio above 100 percent. Besides, it also thought that there would be no effect until 2014 anyway. The Dow immediately dropped 200 points. On April 5, 2011, House Republicans presented their budget, “The Path to Prosperity.” It cut $5.8 trillion in mandatory program spending while implementing $4.2 trillion in tax cuts. On April 13, 2011, President Obama outlined a new budget in a speech. It would cut deficits by $4 trillion over 12 years. It would do this by capping increases in Medicare and Medicaid spending. it would also allow the Bush tax cuts to expire for those with incomes over $200,000. On May 25, the Senate voted against the Republican plan. It also voted against the president's original FY 2012 budget since it had been replaced by his new budget outline. In July, the bipartisan Gang of Six proposed a plan to cut the tax rate for higher income families. It also eliminated important tax deductions, like charitable giving and mortgage interest. Meanwhile, the debt was coming close to reaching the debt ceiling. With their plan defeated, tea party Republicans threatened to "Just Say No to the Debt Ceiling" to force deficit reductions. Both Senate Democrats and House Republicans proposed their own budgets that included different plans to raise the debt ceiling. The House plan was defeated in the Senate. On August 2, 2011, the debt ceiling was raised by $1.2 trillion, as part of the Budget Control Act. It required a Congressional Super Committee to create a proposal to reduce the debt by $1.5 trillion over 10 years. If this wasn't successful, it would trigger a sequestration that would reduce spending by $1.2 trillion over 10 years through an across-the-board spending cut. On September 2, the Bureau of Labor Statistics reported that exactly zero new jobs were created in August. Although that number was later revised upwards, it indicated how severely the debt ceiling crisis had impacted the economy. On September 8, President Obama proposed the American Jobs Act. The Super Committee met unsuccessfully in November and was disbanded in January. The FY 2012 budget was passed in December 2011. The actual revenue, spending, and deficit for FY 2012 were reported in subsequent budgets. Here's a summary. Social Security - $570 billion. Corporate taxes added just $242 billion or 9.8 percent. All other, including excise taxes, tariffs, and earnings on deposits at the Federal Reserve, contributed $215 billion. The Office of Management and Budget’s Table S-5 of the FY 2014 Budget provides the actual revenue collected. The government spent $3.537 trillion, less than the $3.7 trillion originally budgeted. More than half went toward mandatory programs, such as Social Security, Medicare, and Supplemental Security for the Disabled. These expenditures are mandated by law, and cannot be changed without an act of Congress. A whopping $225 billion was spent to pay the interest on the national debt. Discretionary - Just over a third of spending or $1.285 trillion went toward discretionary programs. This percentage will continue to decline because mandatory spending will only grow and leave less money for all other government activities. This means there's less money that the president and Congress can appropriate each year. Almost half of that, $614 billion, was spent on all federal government activities not related to defense. The largest non-security related departments were Health and Human Services, which spent $78.3 billion; Education, $67.4 billion; Housing and Urban Development, $36.3 billion; Justice, $26.9 billion; and Agriculture, $23.7 billion. Table S-11 of OMB’s “FY 2014 Budget” indicates these figures. Military - Over half of the Discretionary budget, or $804.8 billion, was military spending. This included $530.4 billion for the Department of Defense base budget. The budget focused on buying military equipment. It emphasized weapons research and cyber-security. Through some management and acquisition reforms, it planned to save $78 billion through 2016. Although that's a lot a money, it's still less than a 2 percent decrease in total security spending. It also included $159.3 billion spent by other departments to support the DoD base budget. This includes the FBI at $8.076 billion; the National Nuclear Security Administration, $11 billion; Homeland Security, $39.9 billion; the Department of Veterans Affairs, $58.7 billion; and the State Department, $41.6 billion. Total military spending also included $115.1 billion in Overseas Contingency Operations, which paid for the War in Afghanistan. This Congressional appropriation is outside the normal budget process. Tables S-10 & S-11 of OMB’s “FY 2014 Budget” provide more figures on military spending. The budget deficit in FY 2012 came in at $1.087 trillion, less than the $1.327 trillion expected. The deficit was lower than expected because revenues came in about $150 billion higher than forecasted, while spending was roughly about $150 billion lower. Yet this deficit helped push the U.S. debt beyond total annual economic output. This concerned many elected officials. In the short term, deficit spending stimulates the economy. This is especially true if businesses are operating below capacity, and the spending focuses on activities that are efficient in creating jobs. The U.S. budget deficit by year can help you make a comparison between all U.S. budget deficits since 1929. But continued deficit spending puts downward pressure on the dollar's value. As the dollar declines, the price of imports increases, as does the risk of inflation. As the debt approaches 100 percent of GDP, it increases the expectation that this debt won't be paid until sometime in the distant future. This expectation of future taxes puts downward pressure on economic growth.